In 2006, the International Astronomical Union (IAU) -- a global group of astronomy experts -- established that to be called a planet, it is required to "clear" its orbit, or in other words, be the largest gravitational force in its orbit. A section of scientific community has reinvigorated debate around the planet status of Pluto. They argue that reason Pluto lost its planet status is not valid and is erroneous. The research, published in the scientific journal Icarus, says Pluto never should have been downgraded from a planet to a dwarf planet 12 years ago. The authors say, the rationale behind the decision wasn't valid. 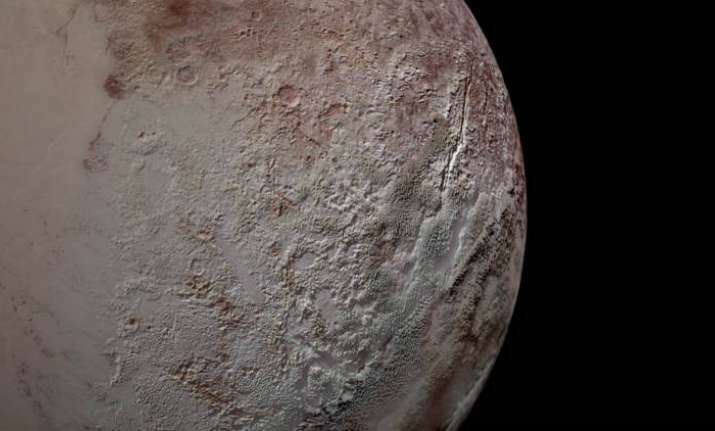 A team led by Philip Metzger, planetary scientist at the University of Central Florida (UCF) in Orlando, noted that the basis on which Pluto was rejected as a planet has no support in the research literature. As per the definition, Pluto does not meet the criteria, since Neptune's gravity influences it, and Pluto shares its orbit with frozen gases and objects in the Kuiper belt. "The IAU definition would say that the fundamental object of planetary science, the planet, is supposed to be defined on the basis of a concept that nobody uses in their research," Metzger said. "And it would leave out the second-most complex, interesting planet in our solar system," he added. Reviewing scientific literature from the past 200 years, Metzger found only one publication, from 1802, that used the clearing-orbit requirement to classify planets, and it was based on since-disproven reasoning. "It's a sloppy definition," Metzger said, adding "they didn't say what they meant by clearing their orbit. If you take that literally, then there are no planets, because no planet clears its orbit." According to co-author Kirby Runyon, from Johns Hopkins University in Maryland, the IAU's definition was erroneous since the literature review showed that clearing orbit is not a standard that is used for distinguishing asteroids from planets, as the IAU claimed when crafting the 2006 definition of planets. "We showed that this is a false historical claim," Runyon said. "It is therefore fallacious to apply the same reasoning to Pluto." The definition of a planet should not be based on properties that can change, such as the dynamics of a planet's orbit, instead, on if it is large enough that its gravity allows it to become spherical in shape, Metzger said.